Nigel’s diet… why so much meat? Thanks to Nigel there was an explosion of interest in my blog post last week – and with it, a lot of questions around including certain foods in my recommendations. One I’d specifically like to address is the inclusion of animal protein (or red meat) in (what some viewed as) large amounts. Now for those who have been reading my blog for a while, this will be covering old ground as I know I’ve talked about elements of this previously. However Nigel’s documentary series has sparked much more interest in what to eat and, as the questions I got suggest, a lot of this information is new ground for many – so I’m happy to delve further into some of these issues and explain why I encourage the inclusion of red meat in the diet. The first point to make here is that a whole-food/paleo diet (as I recommended Nigel eat) is not a meat heavy diet – it’s good to dispel that myth immediately. Sure, some doing ‘paleo’, include large amounts of meat at every meal at the expense of vegetables; however that is not what most people I know do. In fact, I eat more vegetables than some vegetarians I know. The inclusion of small amounts of meat or animal protein at each meal helps stabilise blood sugars and prevents overeating due to energy crashes. In addition, these foods contain complete proteins that are essential for the repair and rebuild of musculoskeletal tissue, they provide (amongst others) iron, zinc, iodine (fish) which are important for over 200 metabolic processes in the body important in brain, gut, liver and thyroid health, and deliver important antioxidants such as co-enzyme q 10 for heart health (and great skin!) Alongside these are the fat soluble vitamins (A, D, K) and essential fats (omega 3 fatty acids, monounsaturated fats and saturated fats) and cholesterol that form the backbone of many hormones and messenger enzymes that are responsible for delivering instructions throughout the body. I’ve taken a broad-brush approach to the many benefits of including animal protein in the diet, but one thing I want to point out is that it’s not the eye fillet steak and the boneless, skinless, (tasteless) chicken breast that I’m talking about – the meat that is closest to the bone is the most healthy meat. Yes it’s fattier – but that’s a good thing (see above re: essential fats). There is beginning to be a trend of nose-to-tail eating now, making many of the offcuts of meat that were often binned now available to be purchased and used at the fraction of the price of an eye fillet steak (if people are willing to try them!). In New Zealand we have predominantly grass fed meat, which means we are largely protected from meat that has been grain fed. Grain fed cattle produces meat with a higher fat content but its fatty acid profile is not ideal – higher in omega 6 fats and higher intramuscular triglycerides (pro-inflammatory). The grain affects the health of the cattle, with more risk of infection and harmful bacteria which have downstream consequences to the quality of the meat we find in our food supply. While in NZ cattle are ‘finished off’ with grain, after a Twitter conversation I had the other week I believe the health consequences of this for us are negligible – though am happy to stand corrected! And then there’s the issue of meat and cancer. And meat and heart disease. And meat and [insert health condition here that suggests you are a medium-rare steak away from certain death]. The problem with the media snippets most people are exposed to is that the finer (read: important) details are overlooked in amongst the rush to print that meat is as bad for you as smoking. Well (gasp) it’s not. Firstly, any research that suggests meat is adversely linked to any of the aforementioned conditions is association, not causational. These research studies cannot determine cause and effect and are not designed to do so. Secondly, many of the large trials asked participants to report their retrospective meat intake over a 6-10 year period once, in a questionnaire format (many people I know struggle to tell me what they ate last week). Thirdly, the distinction between actual meat and that which is found in a hamburger (for example) or even a meat sandwich in some cases is not made. There is a vast difference in quality between a rump steak and a sizzler (not to mention the latter is only around 45 percent meat and isn’t legally allowed to be called a sausage). People seldom eat a hamburger without a bun (this was before the advent of an ‘oxygen’ burger from Burger Fuel) and lumping a person who eats burgers five times per week (and upsizing with the fries and Coke) in the same category as someone who dines on eye fillet at a Pete Evan’s paleo restaurant five nights a week is problematic. Of course, I’m speculating here as to the overall diet quality of participants – but that’s all I can do as these important details pertaining to other nutrients known to affect health (i.e. processed refined carbohydrates, industrial seed oils) aren’t known. Many other lifestyle factors that contribute to poor health (such as a low level of physical activity, smoking, higher alcohol intake) are also seen in those with the highest intake of red meat and in some instances there wasn’t a linear relationship between meat intake and health (or death….) with the death rate falling in between those with the lowest intake and those with the highest intake (when split into groups according to overall consumption patterns.) These details mean little however when it comes to health reporting in the media. Nothing sells like sensationalism, and if we can draw parallels between red meat consumption and smoking then you don’t even need consumers to read the article to guarantee you’d have made an impact. Again, this is my Women’s Weekly overview; for a far more eloquent and in-depth critique of this, go to Zoe Harcombe’s review or Jamie Scott’s blog post discussing this issue. Another big pushback against the inclusion of meat is from an ethical and sustainability perspective. Now I’m not at all suggesting that people who choose not to consume animal products based on their moral standpoint should reconsider. This is a judgement call I have no business in commenting on. However for others, thankfully the availability of free range meat now accessible at relatively cheaper cost is increasing. Demand also affects supply, and the more we ask for free range meat and eggs, the more the price will be driven down (especially considering its not essential to be choosing eye fillet for every meal). Another argument against encouraging meat consumption is that it’s not sustainable for the environment, with more demand for meat increasing the fossil fuel used to produce it, the water usage required and an increase in the methane emissions (and the carbon footprint). 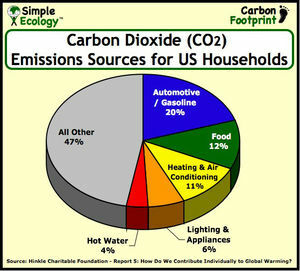 If we put it into perspective, most of what we do has a carbon footprint. Grain-feeding cattle may (or may not) be more resource intensive (and have a larger footprint) given what is necessary to grow the grains to be fed to the cattle as opposed to raising cows on a grass field. And promoting a vegetarian diet based on this argument is flawed given the resources required to feed the world on vegetables. Turn your heating off a put on a jersey instead. So that’s my stance on including animal protein (and red meat) in the diet. There are many reasons why people choose not to include red meat in their diet – but if they are based on optimising nutrient intake, protection from later chronic illness, or from a sustainability perspective, then perhaps reconsidering it wouldn’t go amiss. So…. how did Nigel Latta change his diet anyway? ICYMI, Nigel Latta ended his six episode documentary series this week with a focus on sugar. Part of the fun, in amongst witnessing a two year old have their teeth removed and people in the kidney dialysis unit, was Nigel changing his diet to see what effects this would have on his health and wellbeing. Julianne Taylor, who did the research for the show, brought me in to help Nigel with that. Interestingly, when first approached by Julianne, the plan was to put Nigel on a high sugar diet and see the effects it might have on his energy, his mood, and his metabolic outcomes (cholesterol, blood sugar, triglycerides and the like). I figured that would be an interesting experiment, particularly given that Nigel was pretty sure he had a good diet (smug, one might say). Other than the small issue of an afternoon crash, leading him to seek out something sweet to give him an energy boost, he thought it was all good. From what I knew of Nigel, he appeared pretty lean, he was fairly active, and he enjoyed vegetables and fruit. It’s fair to say that – on appearances – Nigel was your average kiwi guy. A bit shorter, maybe, but all in all a fairly average, run-of-the-mill male. Then I got his diet to analyse. Hmm. This wasn’t the ‘healthy diet’ that I was expecting.. Here’s an example day of what I received (and it was on his ‘treat’ day – takeaways for dinner). Far from being a low sugar diet, Nigel managed to get almost half of his carbohydrate energy from sugars, which included 54g of sucrose – this is the ‘proxy’ used to determine ‘added’ sugars. That’s 14 teaspoons, people. I don’t think that Nigel didn’t have a clue – I just think that people aren’t aware of where sugar is in food AND that the rise and fall of energy throughout the day (that is related to blood sugar) dictates food choice far more than what they think it does. And it’s easy to forget such things when reflecting on a ‘normal’ day. As I discussed last week, the triglyceride level was higher than ideal and, when combined with a borderline HDL cholesterol reading, this is indicative of a greater number of VLDL cholesterol particles making up his LDL cholesterol reading – ie. elevating his risk of inflammation and artery and cell damage. Combined with the Chol/HDL ratio being high (indicative of a greater number of LDL particles) and Nigel’s tendency to store fat around his mid-section, we felt Nigel could do to improve his diet and his risk profile*. Include natural sources of fat (butter, coconut oil, olive oil, nuts, nut oils) while steering clear of seed oils, margarines and the like. Importantly, don’t avoid fat. This is fairly easy to do when you remove most of the processed food from your diet. Snacks: focus on sources of protein and or fat that will help keep him satisfied and not cause swings in blood sugar that he experienced which leads him to the cake and biscuits at his local café for a 3pm sugar hit. 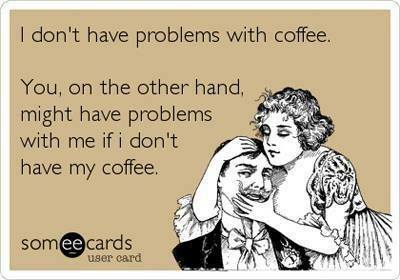 Drink more water, and less coffee. That 19 out of the 21 meals had to be awesome. It killed me to say it but – that McDonald’s meal in the context of my recommendations was not going to be the death of him. But, let’s be clear: that’s NOT the treat meal – those other 19 meals? Treats. Preparation is key to any good diet, and prepackaging nuts, cheese portions, having fruit (that can be eaten with either the fat or protein options for a snack), and hard boiled eggs would help keep him satisfied when he got hungry, avoiding the need to buy food that might not be ideal. Lunch at café would be a lamb/chicken salad – avoiding the dressing unless it was an olive oil/balsamic vinegar dressing, but getting added avocado and ensuring a good amount of protein. If at home, add pumpkin seeds, avocado and aforementioned olive oil as a dressing to a salad and, again, a good serve of protein to help keep him satisfied. If Nigel felt hungry in the afternoon, then snacks on cheese, nuts, hard boiled eggs and the like were recommended. Dinner choices included (again) plenty of vegetables, meat, poultry or fish cooked in either coconut oil, kumara either baked or roasted in olive oil, or legumes or lentils (as Nigel doesn’t have any issues with digesting these). As you would see on the show, over the course of the filming, Nigel lost 3kg and his energy massively increased. His blood cholesterol readings also improved. On an email half way through Nigel said that the diet had such an effect on how he felt that ‘there was no going back.’ And on email this week he revealed he was 8kg down and his enthusiasm for the change in eating hadn’t altered six months on. Importantly he can’t believe the change in his energy levels. So… Nigel really is your average kiwi bloke (a bit shorter, perhaps – but average). However there was no need for him to have an average diet OR average blood cholesterol results. Why be average when you can be awesome? With the improvements in his risk profile, the slippery slope into poor health that many average kiwis will experience over their lifetime due to diet has been halted. Nigel’s health has moved from ‘average’ to awesome and he is not complacent about what he eats. As a father, this will undoubtedly have a flow on effect to the younger members of the Latta family. It was great to be involved in that. *There was, however, some dissention amongst the ranks at my reaction to Nigel’s initial blood results. Apparently I was too alarmist and I could cause the public to be alarmed at their own ‘slightly elevated triglyceride levels’ in the absence of other risk factors. I was a bit perplexed by the email, quite frankly. Not because triglyceride levels that are elevated are almost never elevated without the presence of other risk factors, and this was a television show that due to editing and time restrictions, cannot delve into all of the risk factors. I was perplexed that there was an issue to begin with. Sorry. If you have a diet not unlike Nigel’s diet, then you need to sit up and take notice. Nigel was not that overweight. He was fairly active and – to look at – relatively lean. However his diet was pretty terrible, his energy levels were compromised AND didn’t have an ideal blood profile. If my (or the show’s) emphasis on triglyceride levels caused the general population to be alarmed at their own triglyceride levels then…. be alarmed people. If it makes you think about the amount of sugar you are eating then that’s okay by me.